Dolphins 104 all out in 18 overs (D Miller 26, Jacob Oram 2 for 8, Palani Amarnath 3 for 19, R Ashwin 4 for 18, L Balaji 1 for 23) lost to Chennai Super Kings 177 for 5 in 20 overs (Matthew Hayden 65, S Badrinath 28, Jacob Oram 22 not out, L Balaji 28 not out, Thilan Thushara 3 for 17). If you are one of the fans dreaming of an opportunity to play with Chennai Super Kings, '7up Lemon Pattalam' contest might be the right contest for you. The contest would be a unique opportunity for the fans to interact and pit themselves against the stars of their favourite team. Want to know how to win the contest? To grab the chance to be a part of the ‘7up Lemon Pattalam’, CSK Fans need to collect 7 crowns or PET labels of 7UP and register themselves in groups of 7 (which is 1 team) at select venues. The activation will be on in 7 cities of Tamil Nadu - Coimbatore, Madurai, Trichy, Salem, Tirupur, Tirunavelli and Chennai. Depending on the number of registrations, there will be intra-city matches, from which one ‘City Champion’ will be selected from each location. Each of these ‘City Champions’ will then play against each other. The winning team from these intercity matches gets the chance to be a part of the ‘7up Lemon Pattalam’ which will play against CSK in one of their practice matches in South Africa. Crucial TidBit: The 7up style cricket will be a game of seven overs with seven balls per over. UnLucky Number '13': The Wisdom to take most of the players prevailed mostly because of the marketing team who convinced 13 brands to associate with the team. There is also an Australian Beer Brand - Fosters in the list. Hope Chennai's famous Morale Police don't take any offence to this. 'Masseur' from Australia: As N. Srinivasan said in his press conference today, they are not going to leave any stone unturned to bring the best support staff for Chennai Super Kings. So Roney Parry from Australi joins the team as its masseur. Former Australian Opening Batsman Matthew Hayden arrived in Chennai on April 2. 2009 and joined the Chennai Super Kings practice session on Friday in preparations for the 2009 Indian Premier League Twenty20 tournament commencing in South Africa on April 18. That was the first words that came out of Hayden during his chat with the press yesterday at Chennai. He confessed that he would miss Chepauk especially its crowd. Though the bowlers would have chance in South African pitches, Hayden promised the fans there would be a lot of fireworks, thanks to smaller grounds and higher altitudes. Jacob Oram, the New Zealand allrounder, has said he will pull out of the IPL if he does not recover from his Achilles Tendon injury before New Zealand first-class championship game starting April 5. He strongly denied suggestions that he was trying to save himself for the Twenty20 event by not playing in the ongoing Test Series against India which the Kiwis trail 0-1. "I can understand people thinking I'm cotton-wooling myself but I'll definitely take myself out [of the IPL] if I don't get through the final," Oram told the Dominion Post. "I 'm pretty confident I will make the final and I won't be tiptoeing through five days of cricket. I'm going to hit it hard, and deep down I think I'll be okay." Hope he does play the game and also be a part of the Chennai Super Kings squad for this season IPL. Chandrasekhar has come out in the public and said that it will be a big blow for Chennai Super Kings if Oram is unable to play the IPL. He has also confirmed that Dhoni and Fleming are trying to convince Oram to play the tournament. I hope Dhoni and Fleming are able to convince Oram to play for IPL Chennai team whether he is able to play in five days or not. 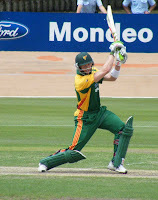 Even if he is not fit at the beginning of the season, since his presence would be crucial once Flintoff departs. Great News! There is going to be another huge addition to ever growing Chennai Super Kings Fans. People from Port Elizabeth were looking for the opportunity to identify with a certain franchise and adopt them as their own. So Alvin Reeves, Chief Sports Reporter of The Herald took upon himself to pick out the team that Port Elizabeth should support. "Chennai Super Kings will feature in four of the seven matches to be played at Sahara Oval St. George's. So if PE folks are looking for a team to support, the Super Kings would be the logical choice. What's more, they will have players like Muttiah Muralitharan, Matthew Hayden, Michael Hussey, Albie Morkel, Makhaya Ntini, Jacob Oram, Stephen Fleming and Andrew Flintoff as their overseas stars and Dhoni & Raina from the Indian Contingent. " Hope to see folks from Port Elizabeth in Chennai Super Kings Exclusive Fan Social Network soon.